The People’s Committee in the central highland province of Gia Lai has placed VND6.3 billion (US$302,400) from budget funds to purchase rice for 8,434 households whose crops have been totally destroyed from the ongoing drought. Farmers will also be assisted with VND3.7 billion ($178,000) to purchase saplings to resume cultivation in areas affected by drought since last year. 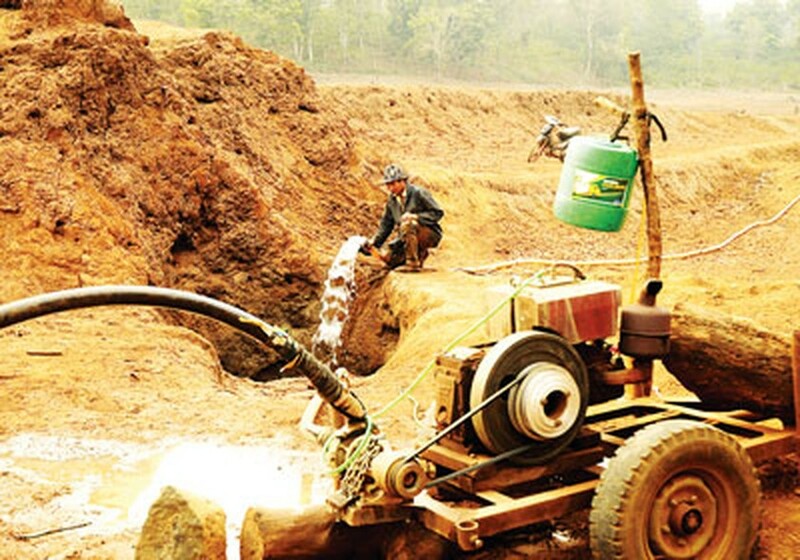 Drought has caused much extensive damage in Gia Lai Province over the last several days. According to the provincial Department of Agriculture and Rural Development, more than 5,000 hectares of rice, corn and bean plants have been destroyed in Kbang, Dak Po, Ia Pa and Krong Pa Districts. Almost 10,000 hectares of coffee and pepper plants are also suffering severe water shortage in Ia Grai and Duc Co Districts and Pleiku City. Total damage losses from the present drought in the province is estimated at around VND70 billion ($3.36 million) so far.